I would like to single out Ms. Emma Balangue of Baguio Office for her excellent assistance. “9 months ago, I went to Baguio for an intensive writing workshop. Then, I came across Aureus Manpower and Consultancy office just on the next door of Niner’s. I have been to 3 different consultancies; and only Aureus welcomed me without discrimination. Unlike the other 3 who sounded sarcastic while I was inquiring about their services, Ms. Emma of Aureus Baguio patiently answered all of my questions, and even suggested the best pathway I could pursue based on her assessment. She was very kind and honest when it comes to the pros and cons of Canada, Australia and NZ. We talked right there and then until we have boiled down to Canadian Student Visa. Fast forward. 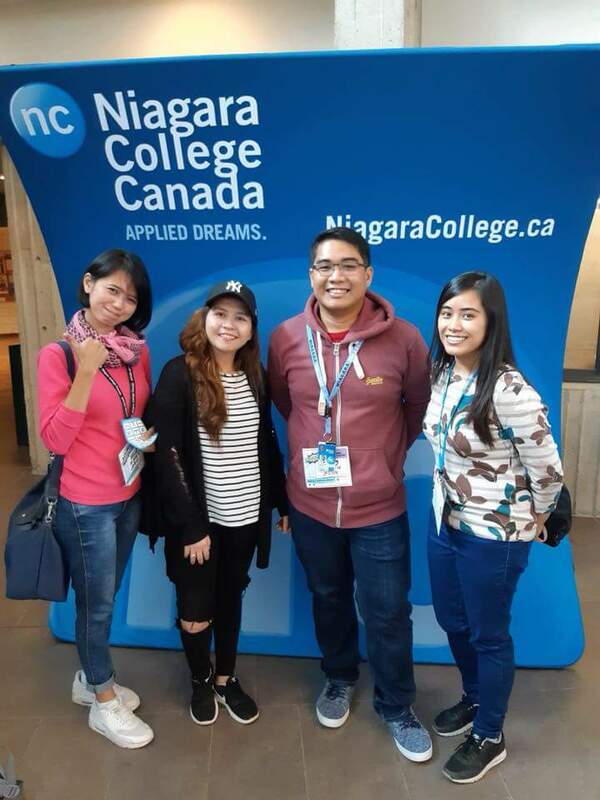 They have assisted me all the way from my enrollment to the college last November 2017 to the lodging of my visa last February 2018. It only took exactly 30 days before my visa was approved. Mine has taken longer than expected because I was only able to complete the cash needed by January 2018. So if you have the money, then the processing time narrows down to 2-3 months only. ***pls take note that the TAT for visa processing depends on the type of visa you applied for; and on how timely you could complete your money and requirements. I would give Aureus Baguio a 5-star rating, ???? and that I would highly recommend their service. ??? ?They are the only Canadian Consultancy in the Philippines that is POEA-licensed; therefore, you don’t have to worry about scam. This agency is legit and their staff could provide you guaranteed and fast visa approval. Also, Ms. Emma has been very responsive to my queries every time I send her a message thru FB. She has been replying even during late nights and weekends. ???? kudos to her patience. I’m wearing a pink sweat shirt in the photo.